Please visit About this site first. Then visit the Catalogue for an overall view of available messages and how they are organised on this site. Audio message P249 “The big picture – some observations 4” is now available. 14 February 2019: New edited text messages AR016, AR069, AR107, AR108, P007 and their PDF files are now available. 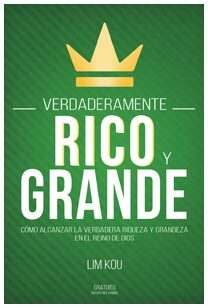 Verdaderamente Rico y Grande - the Spanish translation of Truly Rich and Great is now available as a PDF file for free download. TAONG may PANANAMPALATAYA - the Tagalog translation of Man of Faith is now available as a PDF file for free download. eBooks for mobile devices have been made available for Truly Rich and Great. 22nd Pastoral Care Conference Philippines 11-14 October 2016: audio and notes are now available. 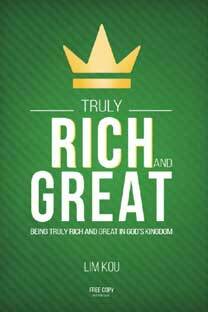 Truly Rich and Great - is now available as a PDF file for free download. 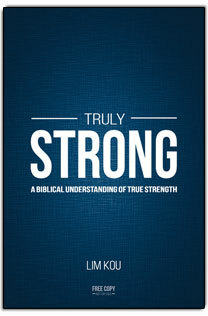 eBooks for mobile devices have been made available for the Korean translation of Truly Strong (정말로 강한 사람). 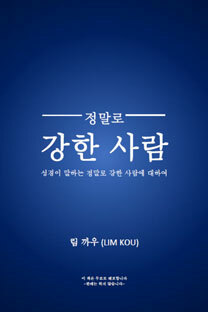 정말로 강한 사람 - the Korean translation of Truly Strong is now available as a PDF file for free download. eBooks for mobile devices have been made available for the Spanish translations of Understanding Job (Entendiendo a Job), Man of Faith (Hombre de Fe), Truly Strong (Verdaderamente Fuerte) and The Two Kingdoms (Los Dos Reinos). 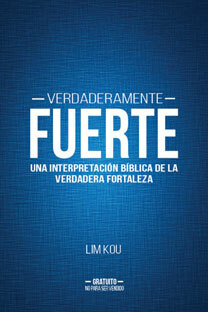 Verdaderamente Fuerte - the Spanish translation of Truly Strong is now available as a PDF file for free download. 24 January 2015: New edited text messages AR066, AR067, AR068, AR152, AR153, AR154, AR186, AR227, AR228, P006 and their PDF files are now available. 20th Pastoral Care Conference Philippines 13-16 October 2014: audio and notes are now available. eBooks for mobile devices have been made available for the four books: Truly Strong, Understanding Job, The Two Kingdoms and Man of Faith. My fourth book Truly Strong is now available as a PDF file for free download. 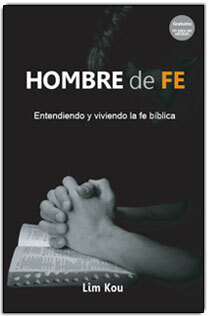 Hombre de Fe - the Spanish translation of Man of Faith is now available as a PDF file for free download. 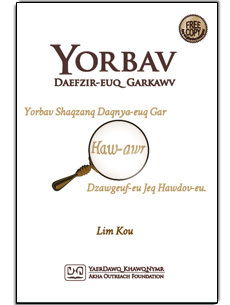 Yorbav Daefzir-euq Garkawv - the Akha translation of Understanding Job is now available as a PDF file for free download. 19th Pastoral Care Conference Philippines 19-22 August 2013: audio and notes are now available. If you find this website helpful, please recommend it to others. Welcome to 'God and Truth'. This website contains Christian text messages, audio messages and books. You may go to Feedback to have some idea of comments by others on the content of this website. Text messages and books may also be read online while audio messages are available in Real Audio streaming format and in MP3 format. Please note there is significant background noise for audio messages prior to 8.10.89. It is my prayer that the materials available on this site will be helpful to all who want to deepen in their faith and knowledge of God and truth and to work out the implications for their lives. New edited text messages AR016, AR069, AR107, AR108, P007 and their PDF files are now available. My fifth book Truly Rich and Great is now available as a PDF file for free download. May it help God's children to be truly rich and great in His kingdom. eBooks for mobile devices have been made available for the Spanish translation of Understanding Job (Entendiendo a Job), Man of Faith (Hombre de Fe), Truly Strong (Verdaderamente Fuerte) and The Two Kingdoms (Los Dos Reinos). New edited text messages AR066, AR067, AR068, AR152, AR153, AR154, AR186, AR227, AR228, P006 and their PDF files are now available. My fourth book Truly Strong is now available as a PDF file for free download. It deals with the subject of true strength from the biblical perspective. Entendiendo a Job - the Spanish translation of Understanding Job is now available as a PDF file for free download. Entendiendo a Job es un intento de dar respuesta a algunos difíciles interrogantes. Más que eso, trata de ayudarnos a entender la persona de Job, su condición y el sentido en su corazón; y cómo le fue antes, durante y después de las pruebas severas que vinieron sobre él. La convicción que aquí se encierra es que Job es un libro muy profundo y de amplio significado, mediante el cual Dios desea enseñarnos profundas verdades - verdades que son importantísimas para tener una vida de compromiso sincero e inquebrantable con Dios. New edited text messages P004, P005, AR065, AR151, AR183, AR184, AR185, AR225, AR226, and their PDF files are now available. New book reviews have also been added for Understanding Job, The Two Kingdoms, Los Dos Reinos and Man of Faith. The second edition of The Two Kingdoms is now available as a PDF file for free download. In response to requests by readers, questions have been added at the end of each message for personal reflection and group discussion. The text is the same as the first edition. The second edition of Understanding Job is now available as a PDF file for free download. In response to requests by readers, questions have been added at the end of each message for personal reflection and group discussion. The text is the same as the first edition. Los Dos Reinos - the Spanish translation of The Two Kingdoms is now available as a PDF file for free download. Este libro analiza varios asuntos importantes relacionados con el reino de Dios y el mundo caído, para así ayudarnos a asimilar el verdadero sentido de nuestra existencia terrenal y los valores, la perspectiva y el enfoque que deberíamos adoptar en la vida. New edited text messages P002, P003 and their PDF files are now available. New edited text messages AR014, AR015, AR149, AR150, AR182 and their PDF files are now available. New edited text messages AR148, AR181, AR224, P001 and their PDF files are now available. New edited text messages G01, G15, G16, G17, G18, G19, AR013 and their PDF files are now available. My third book Man of Faith is now available on the website and can be downloaded as a PDF file. The book can contribute to an understanding of what biblical faith is, and how one can maintain unwavering faith and a heart on fire for God under all circumstances. New edited text messages 2TS07, AR003, AR144, AR145, AR146, AR147, AR223 and their PDF files are now available. New edited text messages 2TS06 and G17 and their PDF files are now available. New edited text messages 2TS05, G15, G16, AR142, AR143 and AR222 and their PDF files are now available. New edited text message AR221 and its PDF file are now available. New edited text messages 2TS04, AR140, AR141, AR219, AR220a and AR220b and their PDF files are now available. GodandTruth.com now comes in a whole new look, completely redesigned to make it simpler to use while conforming to XHTML1.0 standards to ensure compatibility across a wide range of web browsers. We hope it will facilitate your making full use of the content available on this website. Your feedback and comments are welcome. The recently-launched The Two Kingdoms is now available for download as a PDF file. The book considers various important issues pertaining to the kingdom of God and the fallen world to help us grasp the true meaning of our earthly existence and the values, perspective and approach in life we should adopt. The individual chapters are also available as messages	AR132-139, available in text or PDF versions.